Part of a series on building the bilingual teacher pipeline. 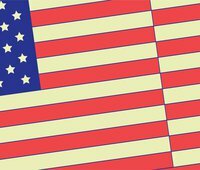 Read the profile of Portland Public Schools here. Another rainy morning in western Washington: the students at Midway Elementary School are running into the building to escape the cold. Inside one classroom, paraprofessional Diana Davis is leading a before-school Spanish literacy class. She is teaching five English learners (ELs) how to mix syllables together to form a word. She points to the syllable “li” and then to the syllable “ma.” “Li. Ma. Lima. Tu sabes que es una lima?” (Do you know what a lima is?) she asks. Since many do not, Davis says, “Yo te voy a mostrar!” (I am going to show you!) She holds one of her hands in front of her face and exclaims “Oh mis uñas! Están muy largas!” (Oh my fingernails! They are so long! ), dramatically motioning away from her fingernails to show that they are long. She elongates the word “largas” to “laaaaaargas.” Her energy is palpable. The strategies employed during this one-minute interaction, such as the visual demonstration, represent best practices in helping EL students learn new vocabulary. It is hard to believe that Davis is not a teacher, given the skill and fluidity of her instruction. Luckily, she will soon be a certified teacher, thanks to her participation in an innovative alternative certification program being implemented at Highline Public Schools in partnership with Woodring College of Education at Western Washington University. 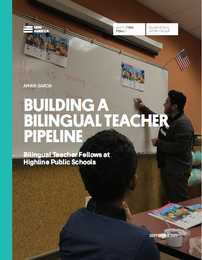 The Woodring Highline Future Bilingual Teacher Fellow Program is designed to prepare a small group of paraprofessionals to earn their teaching certification with the goal of easing the district’s current shortage of bilingual teachers. Davis is one of 16 fellows participating in the inaugural cohort of the two-year program, which offers a bachelor’s degree and K–8 teaching credential with the option of also earning a reading endorsement, English learner endorsement, or bilingual endorsement. The program, which began in the summer of 2016, is structured so that the fellows work as full-time paraprofessionals (see What is a Paraprofessional?) and attend classes in the evening and on weekends. Their time is split between traditional paraprofessional duties such as running small groups, providing translation/interpretation and other support, and working with a mentor teacher to gain practice in leading instruction. The mentor teacher provides opportunities to plan and deliver lessons and gives ongoing feedback, scaffolding in these opportunities over the year to give fellows the chance to contribute to student instruction and learning. “My teacher and I work closely to determine student needs. She allows me to teach 1–2 lessons a week,” says fellow Lorena Garcia, who works in a kindergarten Spanish-English dual language immersion classroom. These on-the-job learning experiences are central to the program’s goal of preparing the next generation of bilingual educators. Indeed, research conducted by our Dual Language Learners National Work Group highlights the role that bilingual paraprofessionals, like Garcia and Davis, could play in reducing bilingual teacher shortages. Bilingual paraprofessionals often have the linguistic and cultural competencies schools need, but face many barriers to becoming certified teachers (see Why Paraprofessionals?). The program highlighted here has been designed to address these challenges and has enabled the school district to “grow its own” by providing paraprofessionals with the necessary financial, academic, and logistical supports to become certified teachers. It is also the expression of a state-level commitment to address current teacher shortages, a strong district-university partnership, intentional program design, and a thoughtful implementation process.